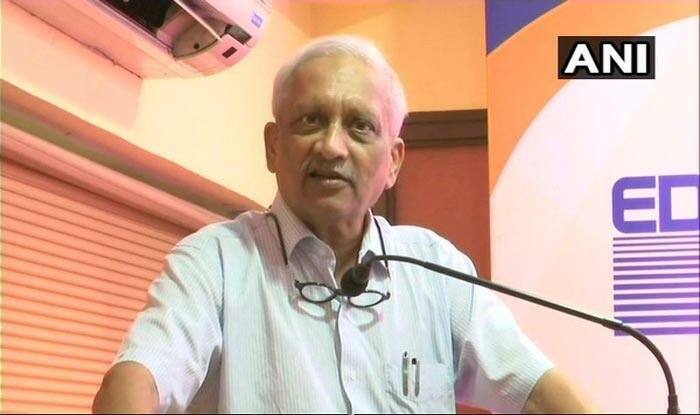 The death of the former defence minister and Goa CM Manohar Parrikar, who represented the Panaji assembly seat, will also necessitate a fourth bypoll in Goa. Panaji: With the demise of chief minister Manohar Parrikar on Sunday, the BJP-led coalition in Goa has to search for a new leader to replace him. Parrikar, 63, died of a pancreatic ailment on Sunday at his private residence near Panaji, government officials said. He was heading a coalition government comprising the BJP, Goa Forward Party, MGP and Independents. The death of the former defence minister, who represented the Panaji assembly seat, will also necessitate a fourth bypoll in Goa, where by-elections are scheduled for the Shiroda, Mandrem and Mapusa assembly constituencies on April 23. These will be held in the state along with the Lok Sabha polls. “With CM Parrikar’s demise, the ruling coalition will have to make a fresh representation to the governor after choosing their leader. The representation will have the letter of support,” a senior official from State Legislature Department told PTI. “If the governor (Mridula Sinha) is not convinced, then she will have to invite the single largest party to form a government,” he said. Parrikar, who was defence minister, was sworn in as Goa chief minister 2017 after he won from Panaji in the same year. In order to allow him entry into the assembly, Panaji MLA Siddharth Kuncolienkar resigned on May 10, 2017, after which the bypoll was held. The Congress is currently the single largest party in the state with 14 MLAs while the BJP has 13 in the 40-member Goa assembly. The Goa Forward Party, MGP and Independents have three MLAs each while NCP has one legislator. The strength House has been reduced to 36 due to the demise of BJP MLA Francis D’Souza earlier this year, and Parrikar on Sunday, and resignations of two Congress MLAs Subhash Shirodkar and Dayanand Sopte last year. After the news of Parrikar’s broke, the coalition partners have called emergency meetings. The three Goa Forward Party MLAs led by Vijai Sardesai and the MGP’s three MLAs will meet separately later in the evening.